When we think of landscapes, we often think of sweeping scenes of open fields or sun-drenched canyons. But Georgia O’Keeffe’s Black Iris VI, like many other works on view in Seeing Nature: Landscape Masterworks from the Paul G. Allen Family Collection, approaches nature from a different point of view. This work zooms squarely in on the center of a single open flower. 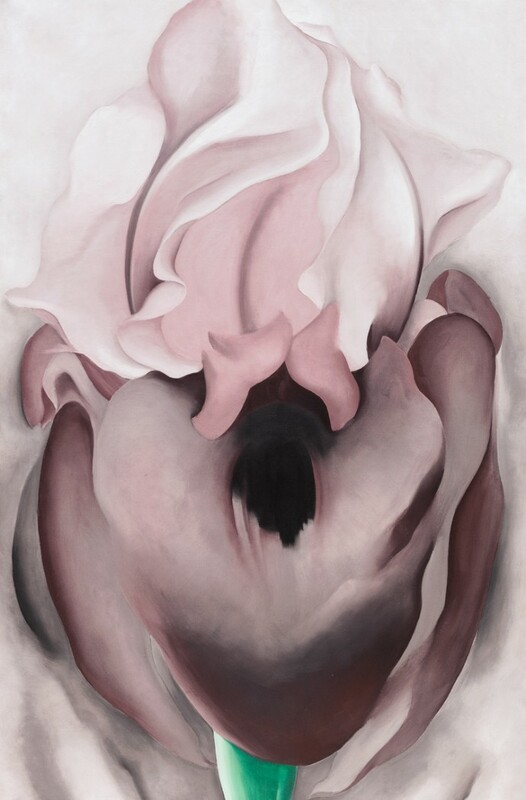 In the summer of 1936, O’Keeffe was back in her beloved New Mexico, feeling a resurgence of spirit and enjoying her first sustained painting since suffering a nervous breakdown three years earlier. It is a mystery just why the iris appeared among the subjects she painted at Ghost Ranch, outside Santa Fe, though the sculptural petals of this elongated blossom are not unlike the bleached bones she collected. The flower’s black center even appears like the eye sockets of a cow’s skull. Like the skull, the iris has a spiritual presence and is a vessel holding the secret of life and the mystery of death.